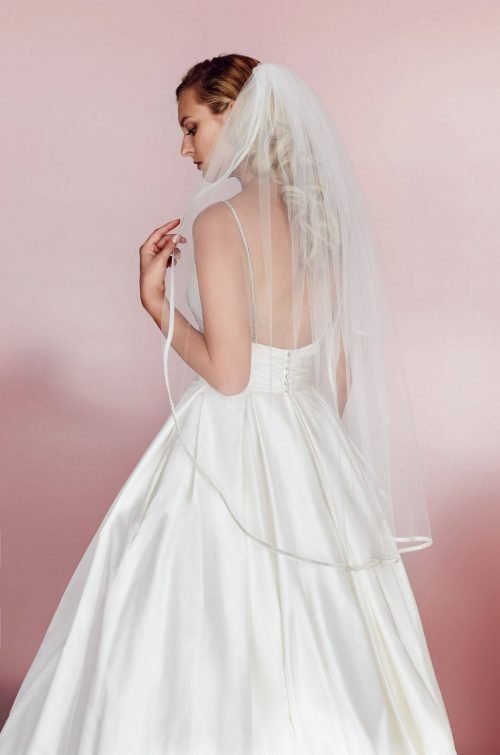 Two tier Fingertip length veil. 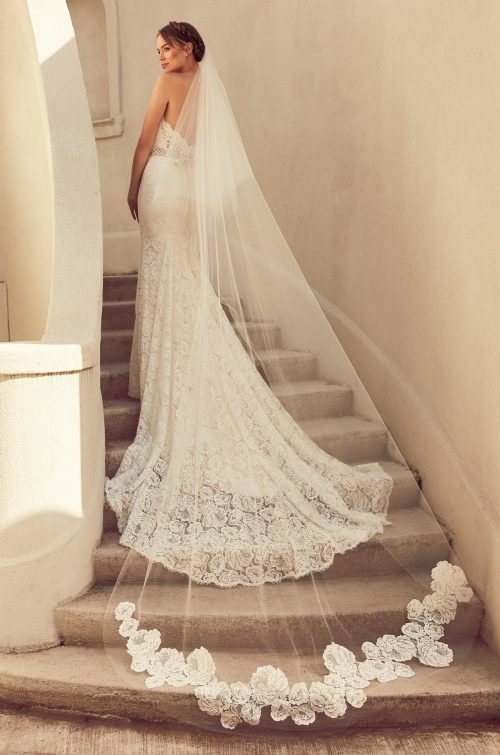 Paloma Lace appliqués along bottom layer of veil. Veil with Natural Tulle and Natural Paloma Lace shown.